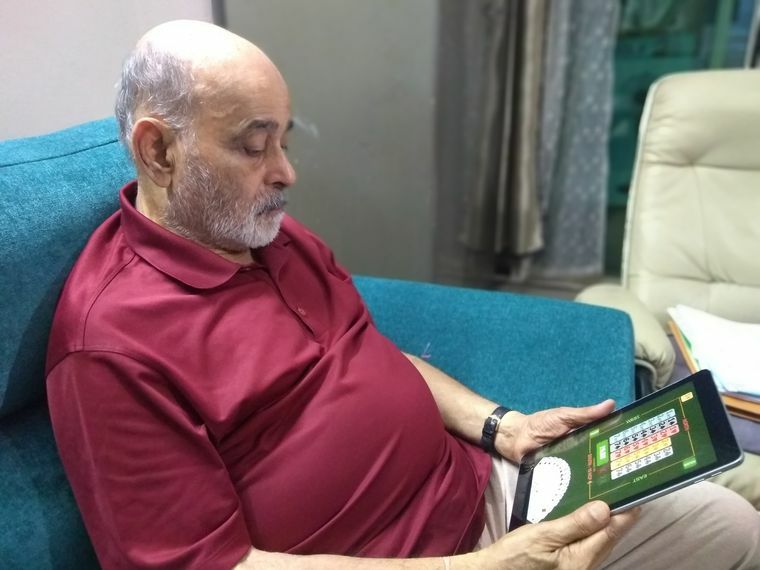 Games seniors play: Tanushri Chatterjee's favourites are Candy Crush and Angry Birds | Jagadeesh N.V.
Do your grandparents complain that you spend too much time on gadgets? Next time they ask you to go play outside, spy on them, and don't be surprised if you find them engrossed in an online game. Gaming is good for rebooting the ageing brain, says Dr Sagar Mundada, a consultant psychiatrist at Healthspring, Mumbai. “The primary focus of these games is to wake up the brain cells known as neurons and improve the connectivity between them. There are brain regions which become dormant over a period of time. Gaming helps to reactivate them,” he says. Chander Aiyar, 83, a chartered accountant from Bengaluru, gets excited when I ask him about bridge, his favourite card game. Aiyar suggested we do the interaction through WhatsApp and I agree. “Why do you like bridge?” I ask him. Chander Aiyar plays bridge online. Games and puzzles are a great way for seniors to keep themselves occupied, reduce stress and beat post-retirement blues. “They help you stay socially connected too,” says Aiyar, who loves playing chess and carrom with small children in his apartment. Digital games can sometimes be challenging for novice gamers. “Super seniors (those aged 75 and over) may have difficulty processing the rapidly moving visual stimuli on the screen,” says Dr Steve Paul, head of geriatrics, Jubilee Mission Medical College and Research Institute, Thrissur, Kerala. Devices with small screens could also pose challenges to elderly gamers. Redemption could be internet-enabled TV, or devices with larger screens. Tanushri Chatterjee would vouch for that. 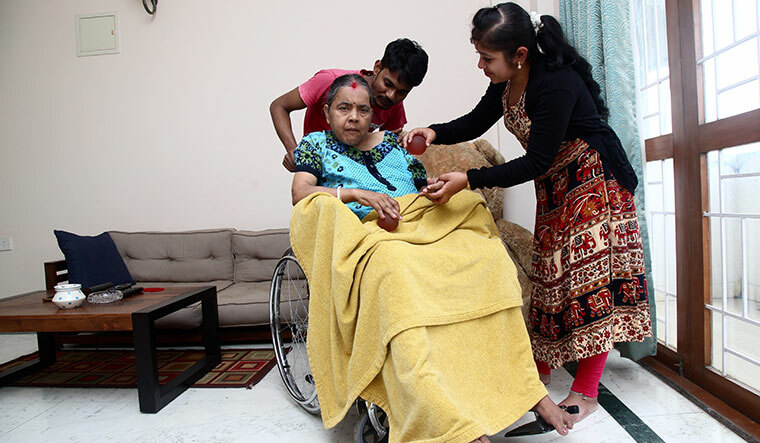 Chatterjee met with an accident 18 years ago, which left her with a serious head injury. It affected her cognitive functions, and her entire body was paralysed. Chatterjee had multiple sessions of physiotherapy and play therapies which improved her hand movements and speech significantly. “Then a caretaker introduced an online game to my mom and I was taken aback by her response to it,” says Tapojoy Chatterjee, her son. “Now she tries holding the mobile. Her favourite games are Candy Crush, Angry Birds and Tile Matching,” he says. To combat age-related cognitive decline, one must constantly challenge the brain. Board, card and other online games help boost memory, says Dr Ramesh K.N., consultant physician and geriatrician, Fortis Hospitals, Cunningham Road, Bengaluru. “Bingo, dominoes and Hangman games deal with mental flexibility and test elders' memory retention,” he adds. When you learn new things, the brain forms new neurons and creates new connections. The physicality of games will result in improved balance, says Ramesh. “As we grow old, our immune system tends to become weak and we fall sick more often,” he says. “When elderly people are involved in games like card games and board games, it improves their immunity as there is chemical release in the body that fights stress and boosts the immune system. It invokes positive feeling and spreads happiness,” adds Ramesh. Learning new languages is also a great way to keep the brain agile and sharp. “I am keen to learn Kannada,” Aiyar tells me as if revealing his biggest secret. I helped him download a voice recording app on his smartphone so that he can revise his lessons. The next time I meet Aiyar, he tells me that he practises Kannada with whoever he meets during his morning walks.